Unlike before, Android P beta is no longer limited to Google Pixels. Thanks to Project Treble, it’s now possible for other non-Google users to enjoy the beta version of Android P on their devices – and one such group is the one using the Vivo X21 and its counterpart, Vivo X21 UD. These two were unveiled earlier this year, but it’s the latter variant that has been stealing the headlines thanks to its industry-first in-display fingerprint scanning technology. That aside, Vivo wants to make the pair even better devices with the early introduction of Android P, but unlike your typical updates, Vivo X21 and Vivo X21 UD users will have some work to do before getting aboard the new ship. Vivo, like many other Chinese OEMs, is not usually among the names that come up when talking about software updates, leave alone timely software updates. However, it seems the power of Project Treble is indeed exemplary as the company is now among the first ever non-Google OEMs to run an Android developer preview on its devices. So, you must be asking, how do I get Android P beta on my Vivo X21 or Vivo X21 UD? Well, you are in the right place because here, we have a simple guide on how to install the new OS on your device and as long as you stick to the provided instructions, no harm should come to your device, but first, make sure you have created a backup of all files stored on the phone because everything will be lost after the upgrade to Android P beta. Wait for a few minutes as the phone automatically upgrades to Android P beta. It’s worth noting that the Vivo X21 and X21 UD Android P beta updates will not be rolled out over the air. Instead, the company will provide downloadable system images that can be flashed to the devices. After the current beta, the Vivo X21 and X21 UD will also receive two more beta updates on June 15th and July 30th, after which the stable version will be outed, probably somewhere in August or September. Another thing worth noting is that at the moment, Vivo has taken down the links to Android P beta for the two X21 phones. The company says [translated from Chinese via Google Translate] that “Due to unsuccessful partial machine feedback updates, the download link is temporarily closed, and troubleshooting is resolved.” When exactly the links will be back is still unknown, but it shouldn’t take too long. Since this is a beta version of Android P, it’s not fit for use as your daily driver. 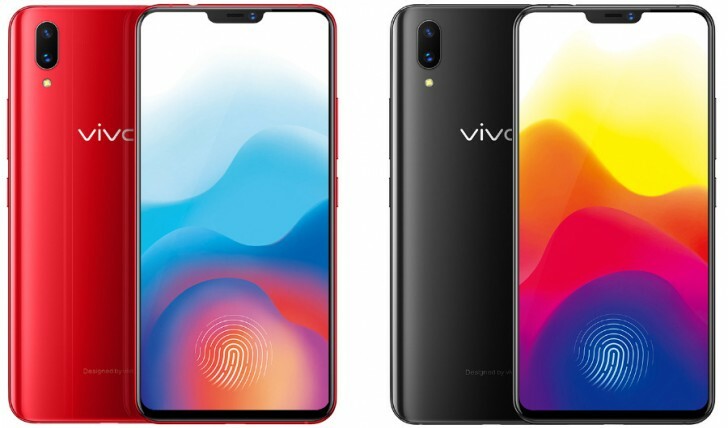 In fact, Vivo has already identified a number of bugs that you may come across and they include the inability to make video calls, no support for facial recognition, the camera only supports the most basic camera and video functions, Bluetooth does not support playing music, Fingerprint payment function does not support, and so on.